His Excellency Bishop Richard N. Williamson will be visiting the New York metropolitan area where he will celebrate Holy Mass followed by a conference at the Sheet Metal Workers Union Hall located at 38 Starr Ridge Road, Brewster, NY 10509 on Monday, April 1, 2013 at 5:00 PM. This conference will address the Crisis of Tradition and will recap all that has occurred over the past several years, most especially the Spring/Summer of 2012 and the ramifications of the gradual movement of Tradition towards Modernist Rome. 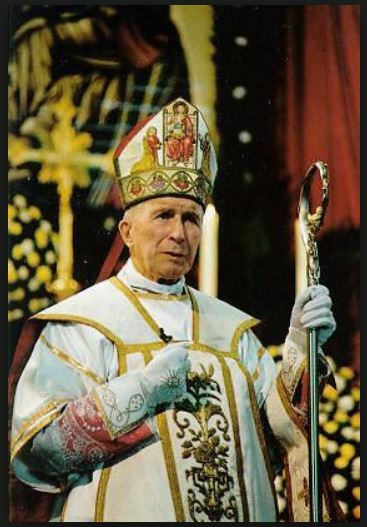 For those wishing to learn more about this liberal trend in the Traditional Catholic Movement – from other than the official outlets of SSPX.org and DICI.org – it is most important that you attend this Mass and conference. A brief Q&A session will follow the conference. All are welcome. A light meal with beverages will be available. All donations are tax exempt. This conference is being sponsored by Our Lady of Mount Carmel’s Norwalk Chapel. Please R.S.V.P. to either (203) 831-9601 or to NorwalkChapel@msn.com by no later than Good Friday, March 29, 2013. On Tuesday, April 2, 2013, Bishop Williamson will celebrate Holy Mass with Confirmations followed by a conference in New Jersey. Our Lady of Mount Carmel’s Sparta Chapel will be sponsoring those events. For more information or to R.S.V.P. please email NJmission@earthlink.net.